CRESTON, B.C. -- The RCMP is asking residents in two southeastern B.C. 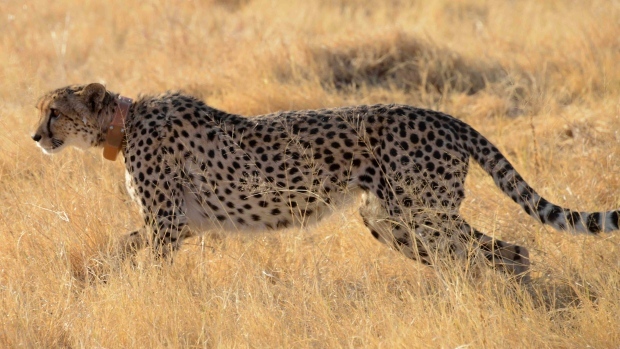 communities to be on the lookout for an adult cheetah. Creston RCMP say the big cat was spotted along Highway 3a Thursday afternoon in the Crawford Bay and Kootenay Bay areas. The cheetah was seen at the side of the road near Kootenay Bay by a motorist who took some pictures of the cat wearing an orange cloth collar and called the RCMP. The Creston RCMP says it is working with British Columbia Conservation Services to try to safely find the animal. Until it is found, police say area residents should be vigilant while outdoors, especially with small children and animals. B.C. Conservation Services says while a cheetah is typically shy and less aggressive then other large cats, it should be considered and respected as a wild animal.